Linnea Windel MSN, RN, FAAN, VNA Health Care’s President & CEO was inducted into the American Academy of Nursing during a ceremony held on November 3. This prestigious recognition highlights Ms. Windel’s leadership and contributions to advancing the mission of the Academy which is to serve the public and the nursing profession by advancing health policy, practice and science through organizational excellence and effective nursing leadership. Ms. Windel has focused her career on improving the health of communities, and specifically, care for those with the greatest socio-economic challenges. Serving as President and CEO of VNA Health Care since 1999, she marshalled resources, public support and grant funding from the Health Resources and Services Administration (HRSA) to establish a Federally Qualified Health Center (FQHC). Ms. Windel developed and implemented an effective, efficient and innovative model of primary care that emphasizes the role of nurses, the importance of same-day care and a broad range of services including home-based programs. VNA Health Care is consistently recognized by HRSA as a Health Center Quality Leader and is now one of the largest FQHC’s in the U.S. and the largest in the Chicago suburbs. Over 500,000 patients have been served during Ms. Windel’s tenure, helping to improve outcomes and close health disparities using person-centered care and delivering that care at a lower than average overall cost. Ms. Windel received a BSN from Illinois Wesleyan University and a MSN from Aurora University. She is a graduate of the Robert Wood Johnson Executive Nurse Fellows program. 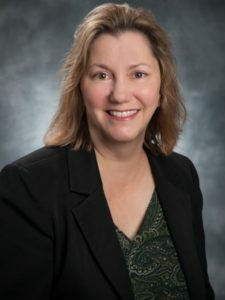 She has served on a number of national, state and local boards, offering a perspective on the role of nursing and access to care for the most vulnerable.